Happy Tuesday, ya’ll! So the other day I made this. It is super healthy and delicious, but after a few servings, I needed to find a way to change it up. So, I made it into tacos. Yum. 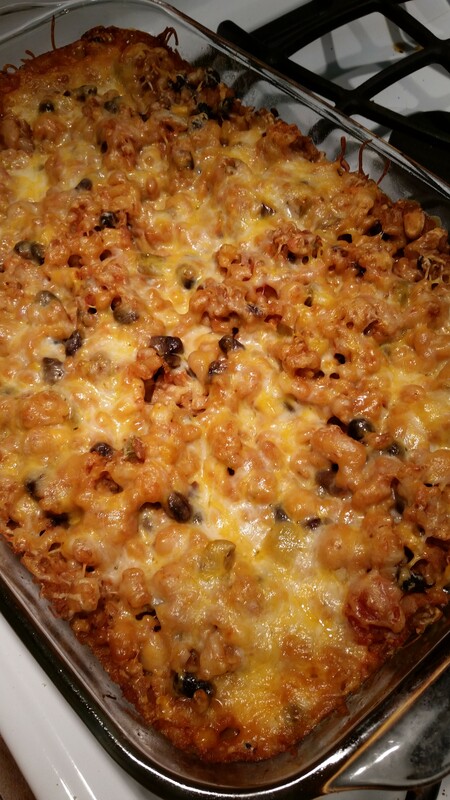 Then I made it into this cheesy bake. All I did was add a another small can of enchilada sauce and 1 jar of salsa to the mix. 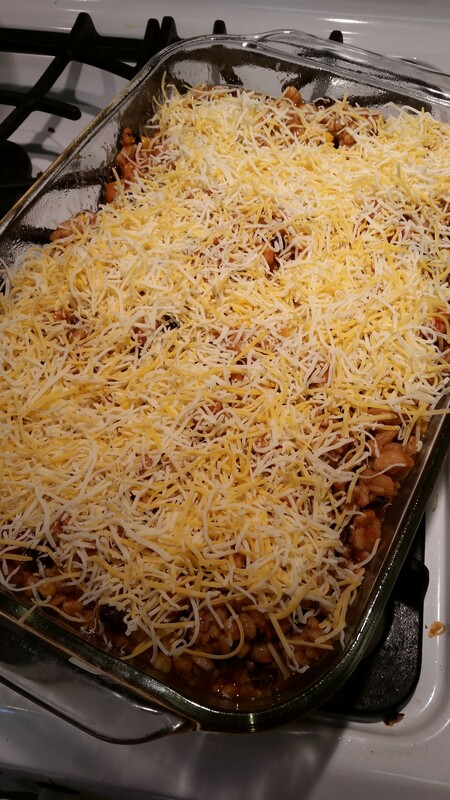 Then I spread it into a sprayed casserole dish and topped it with shredded cheese. I baked it at 350 until all the cheese was melted and bubbly, about 30 minutes. Freezing half of this for my future.